The Days Inn Perryville hotel is located off I-95 at Exit 93 at a Full Travel Plaza. Adjacent to the Perryville Outlet Shopping Center, featuring Jones of NY and Nike. The Best of Perryville Hotels is in scenic Cecil County, located at the peak of the Chesapeake Bay, only minutes from Historic Havre de Grace, Port Deposit, Rising Sun, North East and Aberdeen MD. This is the Top Choice of Perryville Hotels for Location and Comfort. While shopping for antiques, touring Lighthouses or fishing the Susquehanna River, sailing the Chesapeake Bay or experiencing one of the many outdoor recreational areas and state parks, the Days Inn Perryville is your best choice. This Perryville Hotel offers Free Wireless HSIA, a Deluxe Continental Breakfast from 6am - 9am and USA Today. 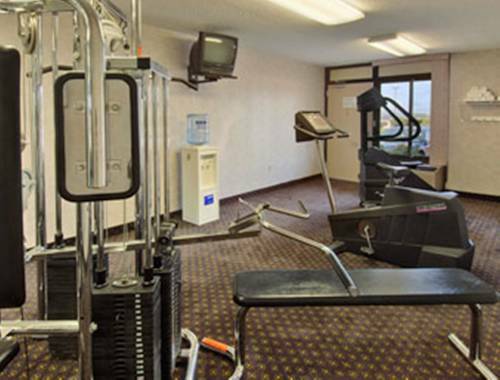 An exercise room, guest library, guest laundry and Days Mart are all provided at the Days Inn Perryville. Centrally located on I-95 between Philadelphia, Baltimore, Washington DC and Lancaster, this Perryville Hotel is the best of all Cecil County, MD Hotels and Perryville, MD Hotels. The Days Inn Perryville is PET FRIENDLY. The Very Best of Cecil County Hotels and Perryville Hotels Best of Maryland Hotels for Guest Service and an Excellent Experience. A disturbing, hand-painted sight; some call it "Satan's Tampon." Always visible from highway, but gets active in October, natch, with the haunted house and hay ride.